This meticulously well-kept DiVosta Taft open floor plan single family home is immaculate, shows like a model and is better than new! This spacious home offers two large bedrooms, two full bathrooms, a den with welcoming double doors, and a two-car garage. Inside the home you will immediately fall in love with the chef style upgraded kitchen that offers 42 raised panel cabinetry, gorgeous granite counter tops, tile backsplash, energy efficient appliances and a giant island for dining and entertaining. You will instantly notice all the upgrades throughout this home from the moment you walk through it; granite in both bathrooms along with tiled showers, can lighting, 9 ceilings, laundry room cabinets, Hunter Douglas plantation shutters, Dans custom ceiling fans and more! Enjoy your nights on the expansive, secluded, 14x16 extended screened lanai paver patio that includes exterior lighting & TV hook up. This maintenance free, gated, resort style community has all the amenities you have been dreaming of! Come live the good life and enjoy all of the different calendar & social events, lap pool, resort pool, pickle ball, tennis courts, bocce ball & fitness center. 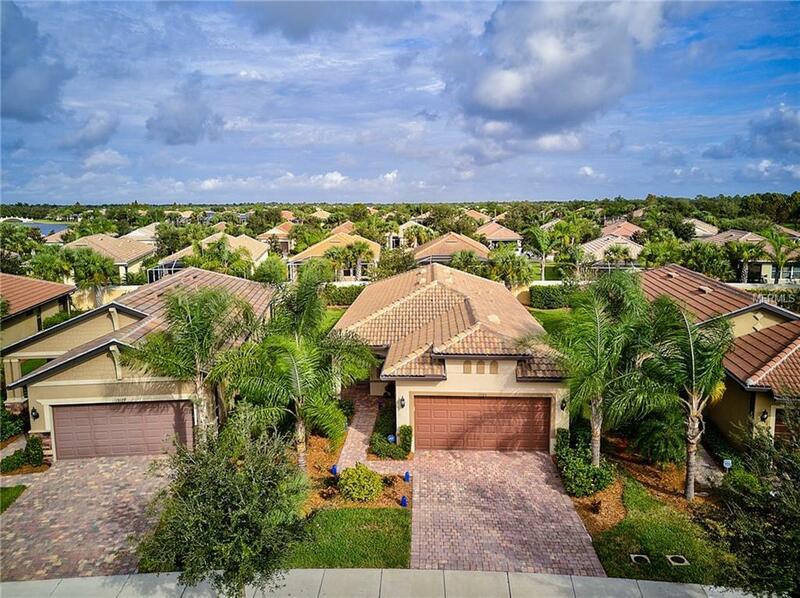 This luxurious community is conveniently located in the West Villages inside of South Venice which is known for top rated schools, ease of i75 access, close to the areas best beaches, numerous restaurants and shopping! Dont miss the 3-D interior walk through tour & exterior video apart of the listing. Schedule your showing today! Additional Lease Restrictions Buyer To Verify Current Leasing Restrictions. Pet Restrictions Restrictions Based On Sarasota County Pet Restrictions.